SAFETY – the most important aspect of any operation! Improving safety conditions is something that we stride for and are very proud to deliver. Providing a safer work environment, a safer airstrip and a healthier work environment are critical aspects to what we provide. Soil Solutions has implemented an Occupational Safety & Health Plan, an Environmental Management Plan and a Quality Manual which not only take cognizance of the International legislation and regulatory environment keeping them compliant within the provisions of the Mine Safety and Health Administration (MSHA), the Occupational Safety and Health Administration (OSHA) and the International Mine Action Standards (IMAS) but also always providing a safe and healthy working environment for its employees as well as the employees of each client. Soil Solutions has gone to great lengths to ensure that the Best Management Practices (BMPs) and Standard Operating Procedures (SOPs) will be implemented during the application and transportation of our products to minimize any potential effects upon the environment and provide employees with the training, information and supervision needed for them to perform their jobs safely as well as ensuring each employee is familiar with the risks related to his job and workplace and what steps need to be taken in order to prevent the risk. The products that Soil Solutions supplies are NOT HAZARDOUS according to the OSHA Hazard Communications Standard, 29 CFR 1910.1200. Our products EBS Soil Stabilizer and Durasolution are PM10 and PM2.5 compliant, which means the application of the products, will help provide a safer and healthier work environment – with high performance dust control and improved air quality – above ground and underground by suppressing all harmful dust particles including the ones too small to be seen by the human eye, which are responsible for respiratory problems and Black Lung disease. To further assist our clients with compliance to the International Legislations and Regulatory requirements, and to continually improve safety conditions, and reduce risk and liabilities, Soil Solutions has partnered with Predictive Safety that will ensure that all of our safety policies meet the International standards in addition to being able to provide consultation with our clients on the above mentioned health and safety concerns as well as fatigue, and other items that can create a risk to optimum health and safety. RISK CAN BE MEASURED, SAFETY CAN BE QUANTIFIED AND HAZARDS CAN BE MANAGED. These tenets are the basis for Predictive Safety and our collaborative mission is to set the new standard for individuals, organizations, and industries; through powerful predictive analytics and the study of leading indicators we will help our clients increase safety, reduce risk and optimize performance. Our team will work with clients, partners and industry professionals to create a new standard of safety. Set a new standard of success based on safety, risk and performance. The SRP Standard. Innovate new ways to improve client success in these areas. Partner with like-minded individuals and businesses to bring the most robust systems to market. Create more stable, reliable and safe businesses for our clients. Save lives around the world. 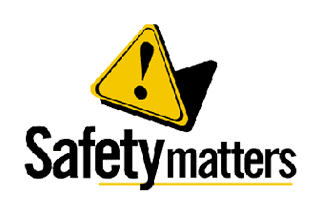 Contact us today as to how we can assist in providing a new standard of health and safety on your operations.